After a week of debate about player eligibility, the Red & Black took the field looking to prove that they were the best team in the competition, regardless of who they faced. Right from the first bounce, the Dingos' loaded up midfield put pressure on the Rebels who could not keep up. Strong marking in the forward line from Paul Tinkler, Simon Trainor and Rob Eckford saw the Dingos jump out to a three goal lead by quarter time. By the time Joel Beasley kicked a goal as the next siren sounded, the Dingos were up five goals to none, with the Rebels yet to get the ball into their forward fifty. The midfield of Mick McFarlane, Rainer Haycraft, Alvin Ranchhod, Michael Ladd and Kevin Mulholland worked tirelessly to continue providing the forwards with scoring opportunities, while Steve Mann, Steve Gordon, George Craig and Pat Bossey rebounded everything that came near them. After half time, the Dingos began to tire as the Rebels started to benefit from their deeper bench. Nevertheless, the back line held firm and didn't allow the Rebels to hit the scoreboard. Heath Neville floated loose in defence to cut off every long ball that entered the back fifty, while Beau Jetson, James Neale, Ryan Cross and Steve Elliot worked hard to ensure that the Rebels small forwards weren't able to convert any of their limited opportunities. The Dingos entered the last quarter determined to leave the field with medals around their necks. Leading by 31 points, the club was eager to completely shut out the Rebels, who had yet to score. Unfortunately the Rebels did manage a late goal, but it wasn't enough as the Dingos emerged victorious by 28 points. Congratulations to league Best and Fairest Mick McFarlane on his Best on Ground achievement. 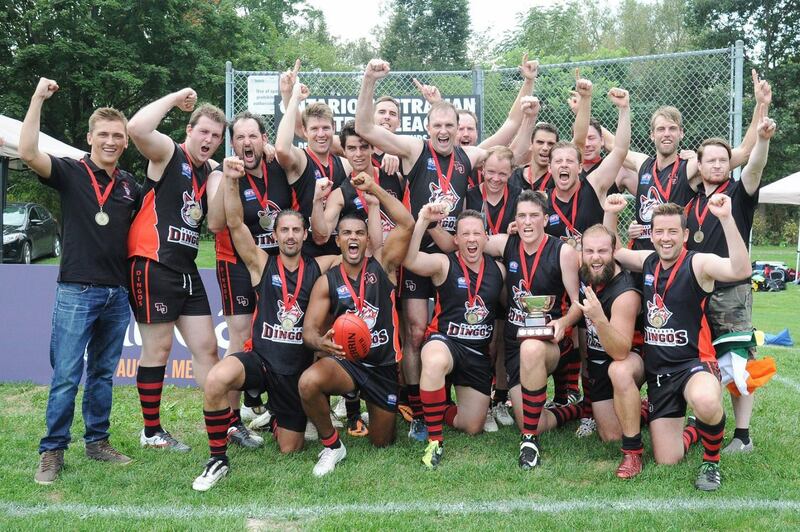 The Dingos are the first club to win a second Division 2 premiership, and will look to continue their success in the years to come.